Emily is a medical writer and editor with more than 10 years of experience in scientific content development and editing, translating highly complex ideas into accessible and compelling language for a variety of audiences. 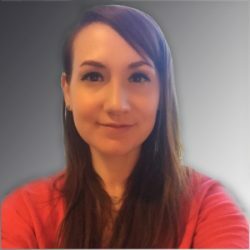 As the founder and owner of Right Brain/Left Brain, LLC, she provides assistance for a wide range of scientific communications including peer-reviewed manuscripts, book chapters, online content, promotional and marketing materials, clinician tools, grant applications, test assessment development, and more. Dr. Kuhl was previously the senior science writer with the American Psychiatric Association for 8 years, where she played a primary role in supporting the development and publication of the Fifth Edition of Diagnostic and Statistical Manual of Mental Disorders. She also was previously employed as a features writer and copyeditor for a daily newspaper in suburban Washington, D.C. Dr. Kuhl is trained as a clinical psychologist and clinical researcher with specializations in behavioral health and neuropsychology. This has provided her with strong foundational knowledge and applied knowledge of medical illnesses, diagnoses, treatments, and patient outcomes.